SOUTHAMPTON are confident of signing Celtic defender Virgil van Dijk even if the Glasgow giants make the Champions League group stage, Anthony Stokes could be set to leave Parkhead for a move to Burnley, and three clubs in the English leagues are monitoring Inverness midfielder Ryan Christie. Southampton are confident of landing Celtic defender Virgil van Dijk for £10million regardless of whether the Hoops make the Champions League group stage. Burnley are closing in on a deal that will take out of favour Celtic attacker Anthony Stokes to Turf Moor. The addition of Nadir Ciftci this summer has pushed Stokes further down the attacking pecking order at Celtic Park and the player was recently told he was free to find a move elsewhere. Swansea City, Burnley and Fulham are all said to be monitoring the progress of Inverness CT midfielder Ryan Christie. The youngster fired in Caley Thistle’s first goal of the season in Saturday’s 1-1 draw with St Johnstone as he enters the final year of his contract. Paul Hartley hailed Scott Bain’s save from Simon Murray as the turning point in a pulsating end to last night’s Dundee derby. Leigh Griffiths has called on manager Ronny Deila to try using both he and new recruit Nadir Ciftci together in the Celtic attack. Deila has preferred one or the other in Celtic’s 4-2-3-1 system so far this season, with Ciftci starting the European matches and Griffiths spearheading the attack in domestic fixtures, in part due to Ciftci’s six match league ban. Griffiths understands the manager has his preferences in terms of system, but doesn’t think there’s any reason the two shouldn’t trusted to form a partnership. • Neilson believes the work done by Hearts to make their foreign legion feel at home at Tynecastle is behind the Jambos’ rampant start to the Ladbrokes Premiership campaign. Key to that impressive introduction has been the exploits of Spanish frontman Juanma, who has already notched three goals. Kilmarnock player-coach Lee McCulloch expects John Collins’ critique of Celtic’s Ladbrokes Premiership opponents to fire up some players - but he will not be using them as a motivational tool. 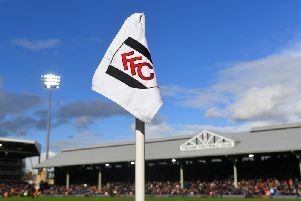 Collins upset several managers by claiming domestic players were not quick or clever enough to punish slack play from his side compared with European teams.